Rotten Tomatoes is an American review-aggregation website for film and television. The company was launched in August 1998 by three undergraduate students at the University of California, Berkeley: Senh Duong, Patrick Y. Lee, and Stephen Wang. The name "Rotten Tomatoes" derives from the practice of audiences throwing rotten tomatoes when disapproving of a poor stage performance. The tomato is the edible, often red, berry of the plant Solanum lycopersicum, commonly known as a tomato plant. The species originated in western South America. The Nahuatl word tomatl gave rise to the Spanish word tomate, from which the English word tomato derived. Its use as a cultivated food may have originated with the indigenous peoples of Mexico. 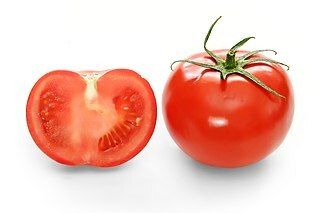 The Spanish encountered the tomato from their contact with the Aztec during the Spanish colonization of the Americas and brought it to Europe. From there, the tomato was introduced to other parts of the European-colonized world during the 16th century. Warner Bros. Entertainment Inc., commonly referred to as Warner Bros. and abbreviated as WB, is an American entertainment company headquartered in Burbank, California and a subsidiary of AT&T's WarnerMedia. Founded in 1923, it has operations in film, television and video games and is one of the "Big Five" major American film studios, as well as a member of the Motion Picture Association of America (MPAA). 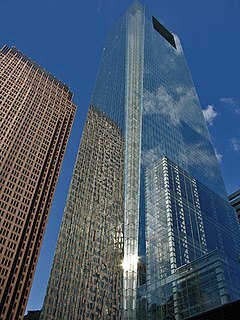 Comcast Corporation is an American telecommunications conglomerate headquartered in Philadelphia, Pennsylvania. It is the second-largest broadcasting and cable television company in the world by revenue and the largest pay-TV company, the largest cable TV company and largest home Internet service provider in the United States, and the nation's third-largest home telephone service provider. Comcast services U.S. residential and commercial customers in 40 states and in the District of Columbia. As the owner of the international media company NBCUniversal since 2011, Comcast is a producer of feature films and television programs intended for theatrical exhibition and over-the-air and cable television broadcast, respectively. 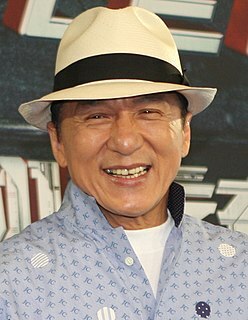 Chan Kong-sang, known professionally as Jackie Chan, is a Hong Kong martial artist, actor, film director, producer, stuntman, and singer. He is known for his acrobatic fighting style, comic timing, use of improvised weapons, and innovative stunts, which he typically performs himself, in the cinematic world. He has trained in wushu or kungfu and hapkido, and has been acting since the 1960s, appearing in over 150 films. 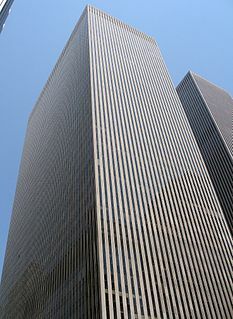 News Corporation is an American mass media and publishing company, formed as a spin-off of the original News Corporation focusing on newspapers and publishing. 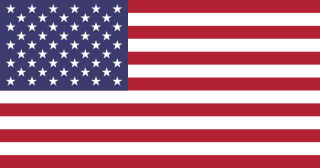 Current TV was an American television channel from August 1, 2005 to August 20, 2013. Prior INdTV founders Al Gore and Joel Hyatt, with Ronald Burkle, each held a sizable stake in Current TV. Comcast and DirecTV each held a smaller stake. Brett Evan Erlich is an American political comedian featured as a writer, producer and host on TV shows and Web sites. He appears as the host of "Pop Trigger" on The Young Turks. He also appears on ABC News Primetime Specials hosted by Barbara Walters and Katie Couric. Ellen Fox is a writer, actress and American TV presenter. She is known for co-presenting The Rotten Tomatoes Show on Current TV. This rating is indicated by an equivalent icon at the film listing, to give the reader a one-glance look at the general critical opinion about the work. The "Certified Fresh" seal is reserved for movies that satisfy two criteria: a "Tomatometer" of 75% or better and at least 40 reviews (for limited release movies, otherwise 80) from "Tomatometer" critics (including 5 Top Critics). Films earning this status will keep it unless the positive critical percentage drops below 70%. Films with 100% positive ratings but fewer than required reviews may not receive the "Certified Fresh" seal. 60–100% Fresh: Films with a score of 60% or higher that do not meet the requirements for the "Certified Fresh" seal. 0–59% Rotten: Films with a score of 0–59% receive this seal. In the year 2000, Rotten Tomatoes announced the RT Awards honoring the best-reviewed films of the year according to the website's rating system. This was later renamed the Golden Tomato Awards. The nominees and winners are announced on the website, although there is no actual awards ceremony. The films are divided into wide release and limited release categories. Limited releases are defined as opening in 599 or fewer theaters at initial release. Platform releases, movies initially released under 600 theaters but later receiving wider distribution, fall under this definition. Any film opening in more than 600 theaters is considered wide release. There are also two categories purely for British and Australian films. The "User"-category represents the highest rated film among users, and the "Mouldy"-award represents the worst-reviewed films of the year. A movie must have 40 (originally 20) or more rated reviews to be considered for domestic categories. It must have 500 or more user ratings to be considered for the "User"-category. The Real Cancun is a 2003 American reality film directed by Rick de Oliveira and written by Brian Caldirola. Inspired by the reality television genre, this film followed the lives of sixteen Americans from March 13–23, 2003 as they celebrated spring break in Cancún, Mexico and experienced romantic relationships, emotional strife, or just had a good time. Without Limits is a 1998 biographical sports film. It is written and directed by Robert Towne and follows the relationship between record-breaking distance runner Steve Prefontaine and his coach Bill Bowerman, who later co-founded Nike, Inc. Billy Crudup plays Prefontaine and Donald Sutherland plays Bowerman. It also stars Monica Potter, Jeremy Sisto, Judith Ivey, Matthew Lillard and William Mapother. Lorenzo di Bonaventura is an American film producer and founder of his company Di Bonaventura Pictures. He is known for producing the Transformers film series. Steven C. Miller is an American screenwriter, editor, and director. He has directed three films starring Bruce Willis: Extraction (2015), Marauders (2016) and First Kill (2017). Yogi Bear is a 2010 American live-action/computer-animated family comedy film directed by Eric Brevig and written by Brad Copeland, Joshua Sternin and Jeffrey Ventimilia. Based on the animated television series The Yogi Bear Show and the character of the same name created by William Hanna and Joseph Barbera, the film stars Anna Faris, Tom Cavanagh, T.J. Miller, Nate Corddry and Andrew Daly as well as the voices of Dan Aykroyd and Justin Timberlake. The film centers on Yogi Bear and his sidekick Boo-Boo Bear as they try to save their home Jellystone Park from being logged. Production on the film began in October 2008. The Stone Quarry is an American film production company that was established in 2004 by filmmaker Zack Snyder, his wife Deborah Snyder, and their producing partner Wesley Coller. Max is a 2015 American family adventure drama film directed by Boaz Yakin, and co-written with Sheldon Lettich. The film stars Josh Wiggins, Mia Xitlali, Dejon LaQuake, Thomas Haden Church, Robbie Amell, Lauren Graham, Luke Kleintank, and Jay Hernandez. The film was released by Warner Bros. on June 26, 2015. 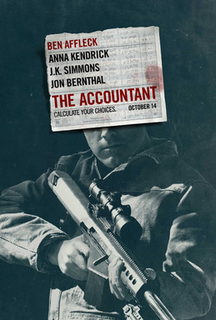 The Accountant is a 2016 American action thriller film directed by Gavin O'Connor, written by Bill Dubuque and starring Ben Affleck, Anna Kendrick, J. K. Simmons, Jon Bernthal, Cynthia Addai-Robinson, Jeffrey Tambor, and John Lithgow. The storyline follows Christian "Chris" Wolff (Affleck), a certified public accountant with high-functioning autism who actually makes his living uncooking the books of criminal and terrorist organizations around the world that are experiencing internal embezzlement. Gotti is a 2018 American biographical crime film directed by Kevin Connolly, and written by Lem Dobbs and Leo Rossi. 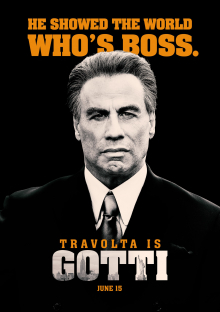 The film is about the life of New York City mobster John Gotti and his son, John A. Gotti, and stars John Travolta, Kelly Preston, and Pruitt Taylor Vince. 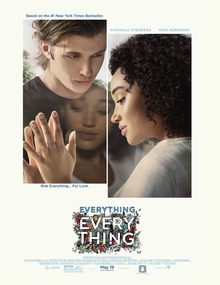 Everything, Everything is a 2017 American romantic drama film directed by Stella Meghie and written by J. Mills Goodloe, based on Nicola Yoon’s 2015 novel of the same name. The film follows a young woman named Maddy who is prevented by virtue of illness from going outside her house, and her neighbor Olly who wants to help her experience life. Teen Titans Go! To the Movies is a 2018 American animated superhero comedy film based on the television series Teen Titans Go!, which is adapted from the DC Comics superhero team of the same name. This film is written and produced by series developers Michael Jelenic and Aaron Horvath, and directed by series producer Peter Rida Michail and Horvath. The events of the film take place during the fifth season. Wolves at the Door is a 2016 American horror film directed by John R. Leonetti and written by Gary Dauberman. The film is loosely based on the murder of Sharon Tate, the wife of Roman Polanski, and her friends in 1969 by members of the Manson Family. The cast features Katie Cassidy, Elizabeth Henstridge, Adam Campbell and Miles Fisher as four friends who are stalked and murdered by a group of intruders at a farewell party. ↑ "Fandango snaps up Rotten Tomatoes and Flixster". Engadget(AOL). Retrieved February 19, 2016. 1 2 3 Anthony D'Alessandro. "Fandango Acquires Rotten Tomatoes & Flixster - Deadline". Deadline Hollywood . Penske Media Corporation . Retrieved February 19, 2016. ↑ "Rottentomatoes.com Traffic, Demographics and Competitors - Alexa". www.alexa.com. Retrieved April 12, 2019. ↑ "How Rotten Tomatoes became Hollywood's most influential — and feared — website". Los Angeles Times. ISSN 0458-3035 . Retrieved April 18, 2018. ↑ "Entrepreneurial Best Practices Series: A Fireside Chat with Rotten Tomatoes Founder Patrick Lee - Berkeley-Haas Entrepreneurship Program". Berkeley-Haas Entrepreneurship Program. Retrieved April 18, 2018. ↑ "Notable Cal Alumni". Cal Alumni Association, UC Berkeley. February 21, 2018. Retrieved April 18, 2018. ↑ "Stephen Wang". angel.co. Retrieved April 18, 2018. ↑ Pallotta, Frank. "Fandango acquires review site Rotten Tomatoes, Flixster". CNNMoney. Retrieved April 18, 2018. ↑ Lazarus, David (April 26, 2001). "Fresh Look For Rotten Tomatoes / Help from college buddies elevates movie-rating website beyond hobby status". San Francisco Chronicle . Retrieved January 12, 2013. ↑ "Senh Duong interview, 2000". Asianconnections.com. August 19, 1999. Archived from the original on September 27, 2009. Retrieved December 4, 2009. ↑ "20 Years Later, Rush Hour Is Still a Buddy-Cop Gem". Rotten Tomatoes. September 18, 2018. ↑ Semley, John (2018). Hater: On the Virtues of Utter Disagreeability. Penguin Books. pp. 26–27. ISBN 9780735236172. ↑ Ryan, Tim. "Rotten Tomatoes Oral History". Rotten Tomatoes (Fandango Media). Retrieved December 4, 2009. ↑ "IGN Entertainment to Acquire Rotten Tomatoes". Corp.ign.com. June 29, 2004. Retrieved January 27, 2017. ↑ "News Corp. Acquires IGN for $650 Million". Bloomberg. September 10, 2005. Retrieved January 27, 2017. ↑ Graser, Marc (January 4, 2010). "Flixster buys Rotten Tomatoes". Variety . Penske Media Corporation . Retrieved January 4, 2010. ↑ "News Corp. Unloads Rotten Tomatoes Onto Flixster". TechCrunch (AOL). January 4, 2010. Retrieved February 19, 2016. ↑ Sweney, Mark (May 4, 2011). "Warner Bros buys Rotten Tomatoes owner Flixster". The Guardian. Guardian News. Retrieved September 1, 2018. ↑ "Rotten Tomatoes and Flixster Acquired By Fandango". Slashfilm. Retrieved February 19, 2016. ↑ "The Rotten Tomatoes Show on Current". The Rotten Tomatoes Show. November 23, 2009. Archived from the original on February 21, 2012. Retrieved December 4, 2009. ↑ Atchity, Matt. "Welcome to the Rotten Tomatoes TV Zone". Rotten Tomatoes (Fandango Media). Archived from the original on September 22, 2013. Retrieved September 17, 2013. ↑ "Rotten Tomatoes Editor-in-Chief Matt Atchity Joins The Young Turks as Head of Programming". Variety. July 16, 2017. ↑ Spangler, Todd (October 26, 2017). "Rotten Tomatoes to Launch Weekly 'See It/Skip It' Show on Facebook (EXCLUSIVE)". Variety. Retrieved November 25, 2017. ↑ Richards, Katie (March 6, 2018). "Rotten Tomatoes Rolls Out a Fresh Logo and Visual Identity After 19 Years". Adweek . Retrieved March 6, 2018. ↑ "rottentomatoes.com". Alexa Internet. Retrieved November 26, 2017. ↑ "rottentomatoes". Quantcast. Retrieved November 28, 2014. 1 2 3 "Rotten Tomatoes: Licensing". Rotten Tomatoes. Retrieved June 3, 2016. ↑ "2nd Golden Tomato Awards". Rotten Tomatoes. January 1, 2013. Retrieved April 21, 2013. 1 2 3 "14th Golden Tomato Awards". Rotten Tomatoes. January 1, 2013. Retrieved April 21, 2013. ↑ Barnes, Brooks (September 7, 2017). "Attacked By Rotten Tomatoes". The New York Times . The New York Times Company . Retrieved September 9, 2017. ↑ "Welcome to the Rotten Tomatoes API". Flixster, Inc. Archived from the original on December 19, 2014. Retrieved November 28, 2014. ↑ Mendelson, Scott (June 13, 2017). "Rotten Tomatoes, Netflix And A Perfect Storm That Dooms Hollywood". Forbes . Forbes LLC. Retrieved June 14, 2017. 1 2 "How 'Pirates' & 'Baywatch' Are Casualties Of Summer Franchise Fatigue At The Domestic B.O." Deadline Hollywood. Penske Media Corporation. May 28, 2017. Retrieved July 20, 2017. 1 2 3 4 "Studios Fight Back Against Withering Rotten Tomatoes Scores". The Hollywood Reporter . August 2, 2017. ↑ Lee, Chris (June 9, 2017). "How Hollywood Came to Fear and Loathe Rotten Tomatoes". Vanity Fair . Retrieved October 29, 2017. ↑ Barnes, Brooks (September 8, 2017). "Rotten Tomatoes won't be getting fresh ratings from Hollywood". Toronto Star . Torstar Corporation. New York Times. Retrieved September 9, 2017. ↑ Lee, Chris (June 9, 2017). "How Hollywood Came to Fear and Loathe Rotten Tomatoes". Vanity Fair. Retrieved June 14, 2017. ↑ Knight, Chris (August 31, 2017). "Why Hollywood doesn't want you to see Tulip Fever, which has been buried deep for three long years". National Post. Retrieved October 5, 2017. ↑ Dickey, Josh. "There's a secret way to predict a movie's Rotten Tomatoes score". Mashable.com. Retrieved September 9, 2017. ↑ Polo, Susana (February 26, 2019). "Rotten Tomatoes will no longer allow audiences to review movies before release". Polygon. Retrieved February 26, 2019. ↑ "Rotten Tomatoes takes on trolls by removing 'want to see' scores". Engadget. Retrieved February 26, 2019. ↑ White, Armond (April 3, 2010). "Do Movie Critics Matter?". First Things . Retrieved June 2, 2017. ↑ "Rotten Tomatoes Is 'the Destruction of Our Business,' Says Director". Entertainment Weekly . Time Inc. March 23, 2017. Retrieved June 2, 2017. ↑ Birrell, Mark (April 16, 2017). "Critical Mass: Rotten Tomatoes and the death of individuality". The Spread. Retrieved July 17, 2018. ↑ Martin Scorsese (October 10, 2017). "Martin Scorsese on Rotten Tomatoes, Box Office Obsession and Why 'Mother!' Was Misjudged (Guest Column)". The Hollywood Reporter. Retrieved April 12, 2018. ↑ "Suffragette (2015)". Rotten Tomatoes. Fandango Media . Retrieved September 18, 2018. ↑ Shoard, Catherine (June 15, 2018). "Ocean's 8 stars blame dominance of male critics for film's mixed reviews". The Guardian . Guardian News and Media . Retrieved June 16, 2018. ↑ "'Justice League', Rotten Tomatoes, and DC Fans' Persecution Complex". Wired . Retrieved November 25, 2017. Wilkinson, Alissa (August 13, 2018). "CinemaScore, Rotten Tomatoes, and movie audience scores, explained". Vox .